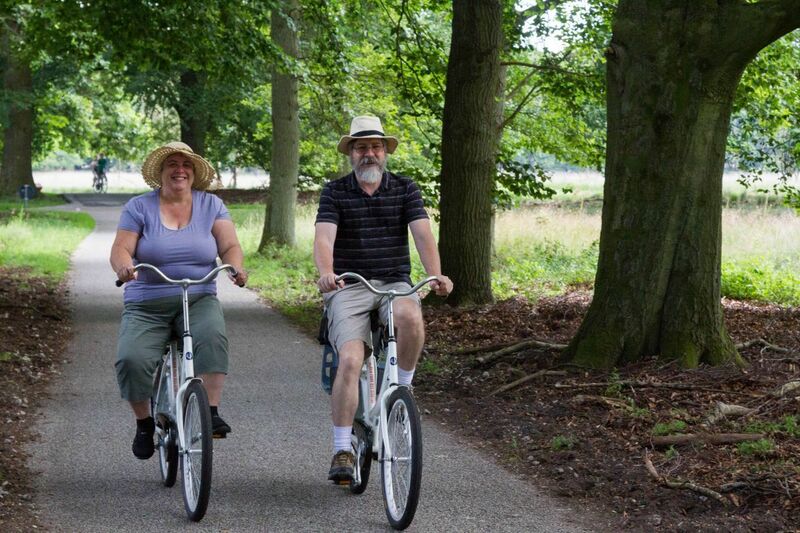 Hoge Veluwe park is relatively flat and very easy to manage even for occasional bike riders + Stunning Views! 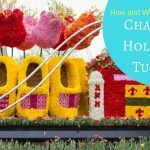 We lived in the Netherlands from 2000 until 2002, and we learned how to enjoy the Dutch way of life. For example, the love of bikes. They use bikes for everything from commuting to leisure, and boy do they know how to do it right. 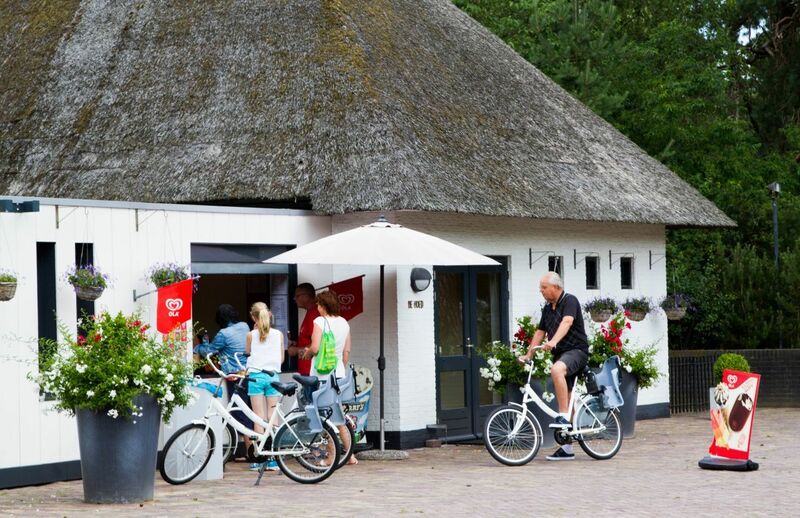 From date nights where the boy has a girl riding on the back fender, to the post delivery clerk who has a specially made bike for the mail, the Dutch are masters at utilizing bicycles for transportation. 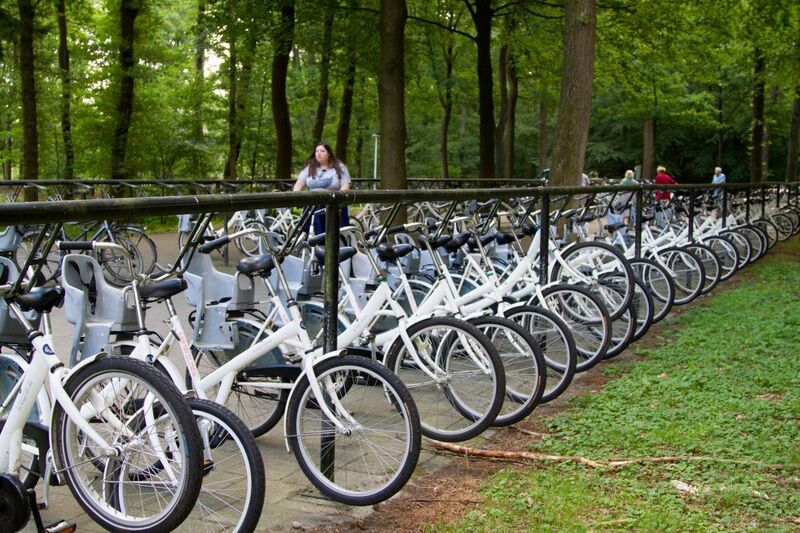 A Park for Bikes, How Dutch! 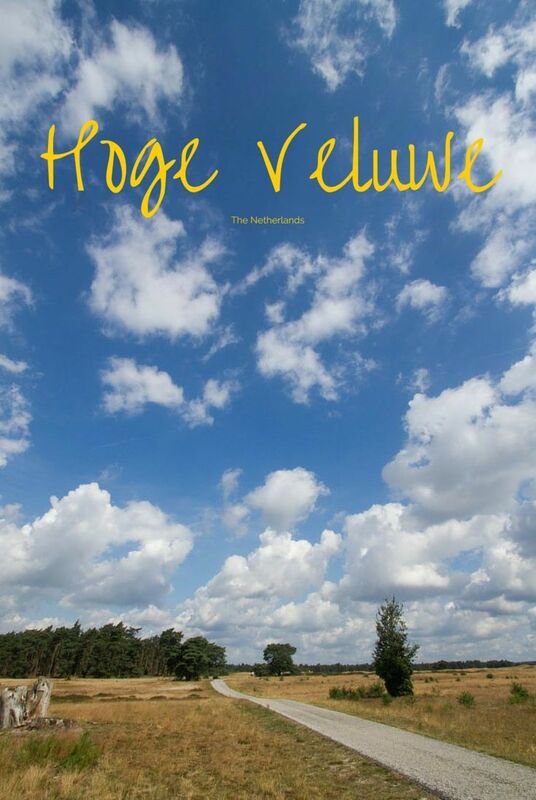 Have you been to the Hoge Veluwe? Any tips? 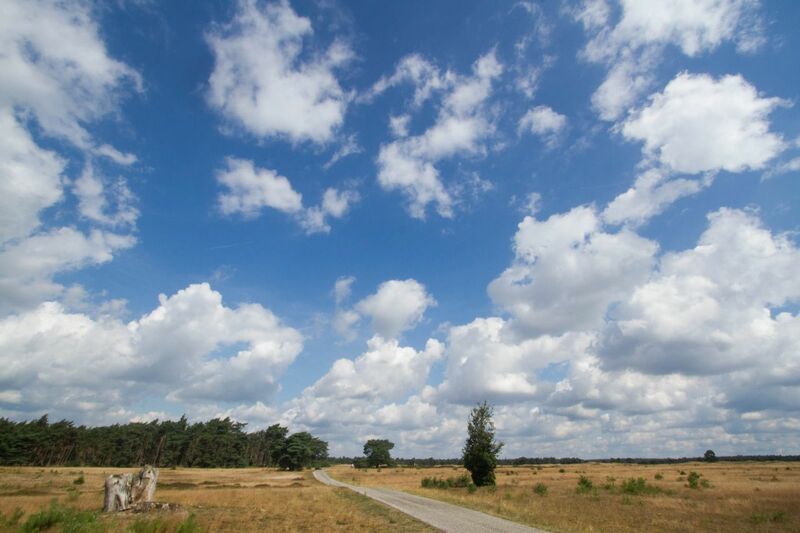 Only an hour southwest of Amsterdam, and very close to some other great cities and sights in the Netherlands, the Hoge Veluwe National Park is a spectacular day trip. Upon reaching the park, you can decide whether or not to bring in your car or park it outside of the park. Parking outside is no problem, because the park provides free bikes for your use. Can you believe it? 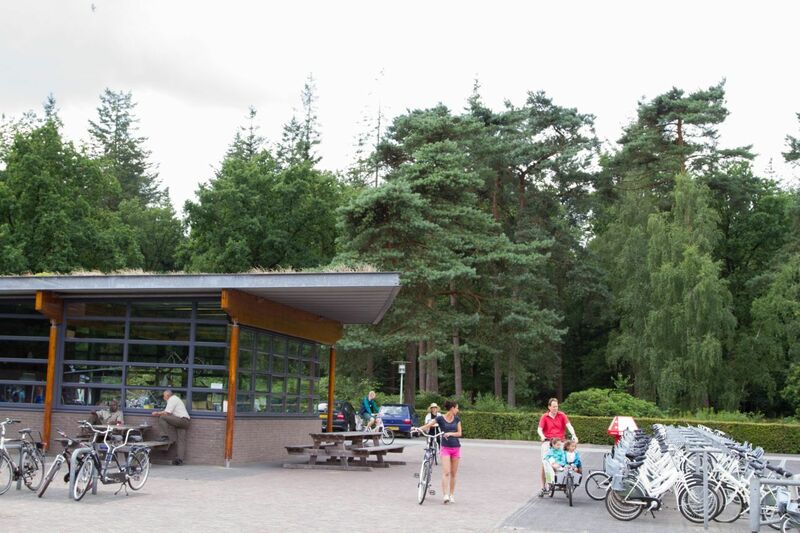 With a number of huge bike parking lots sprinkled within the park, you and your family can choose a white bike to ride wherever you want to go. Bikes are all sizes and some even have baby seats, so everyone is accommodated. We love this feature, because the park is beautiful moor and heathland, very flat and easy to ride around with hardly any inclines. The various activities and museums to do in the park are never too many kilometers away, and we’ve seen children as young as four pedaling on their own bike and not having any trouble keeping up. If you have trouble finding a bike, you can go to the bike center near the Visitor Center and they will set one up especially for you. There are plenty of bike trails, all paved, in the park so you can never get bored with the choices, long or short. 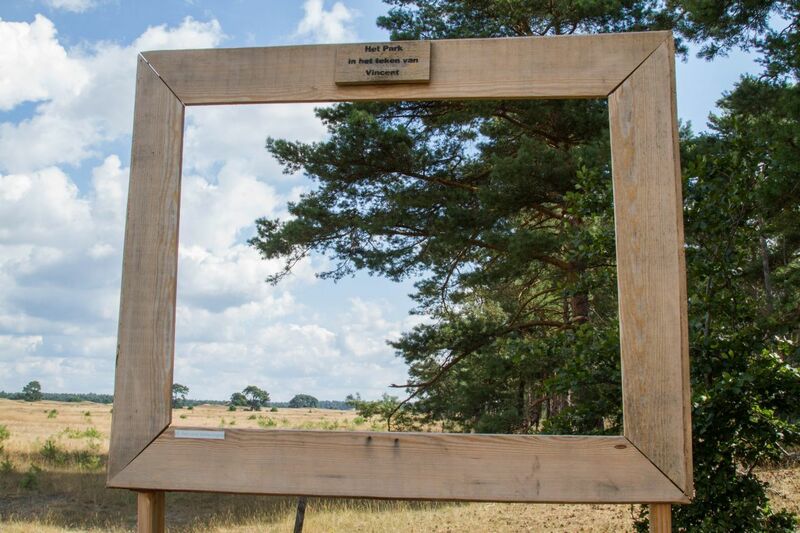 The Hoge Veluwe is known for Van Gogh having spent time there, and as you pedal you will come across wooden picture frames where he sat and created his sketches and paintings. There are plenty of places to picnic, as well as the various spots in the park that house the museums and other activities. My first stop would be the Visitor’s Center. This is the heart of all the activity and there is usually an exhibit of photography or art as well as plenty of English speakers to answer any questions you may have. You will want to make sure that if your plan is to take a tour of the Jachthuis Sint Hubertus (Hunting Lodge) that you get signed up and buy your tickets before taking off as well. Don’t worry about where you left your bike, or even locking it up. There are so many, just grab one that fits! Also in the Visitor’s Center complex is the Museumonder (Underground Museum), a couple of places to eat and get a snack, the bike center, and a fantastic playground. I’ve never been to this part of the park without it being packed full of people enjoying a coffee and an ice cream and letting the little ones really expend some energy. If you can’t find the visitor center look for one of these maps along the path. If you have children, you won’t want to miss the Museumonder, which exhibits life underground. A natural history museum, the kids will be amazed at the skulls, signs, games, and information at the center. It’s also a cool place to spend a half hour during the heat of the day to just cool off. There is no extra cost for this museum. Even if you choose not to visit this fantastic Van Gogh collection, you should take the time for a stroll through the free sculpture gardens. 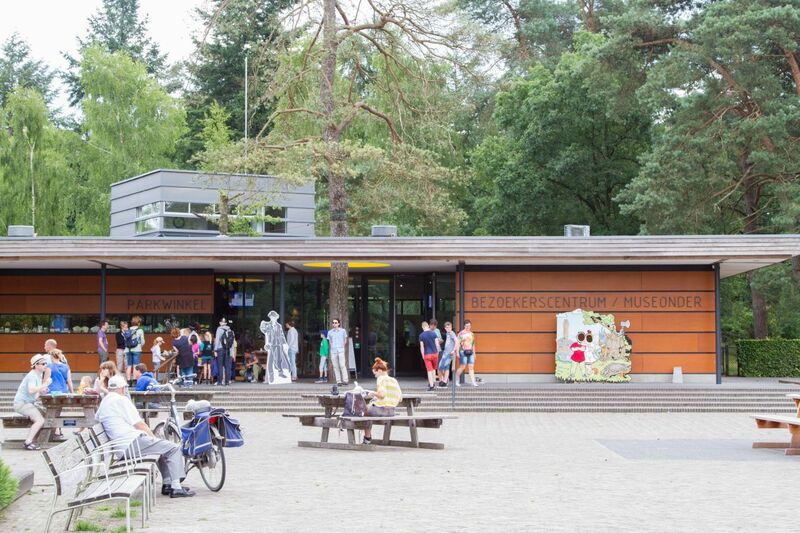 Our favorite museum in the park is the Kröller-Müller Museum. A little pricey (buy your tickets online), it is well worth every cent. 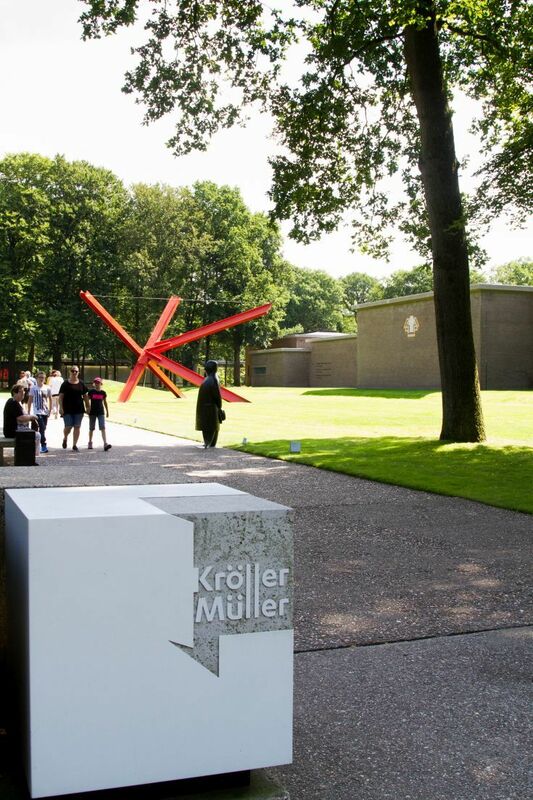 The Kröller-Müller Museum is an art museum that houses the second largest collection of Van Gogh works along with other impressionist and modern artists. 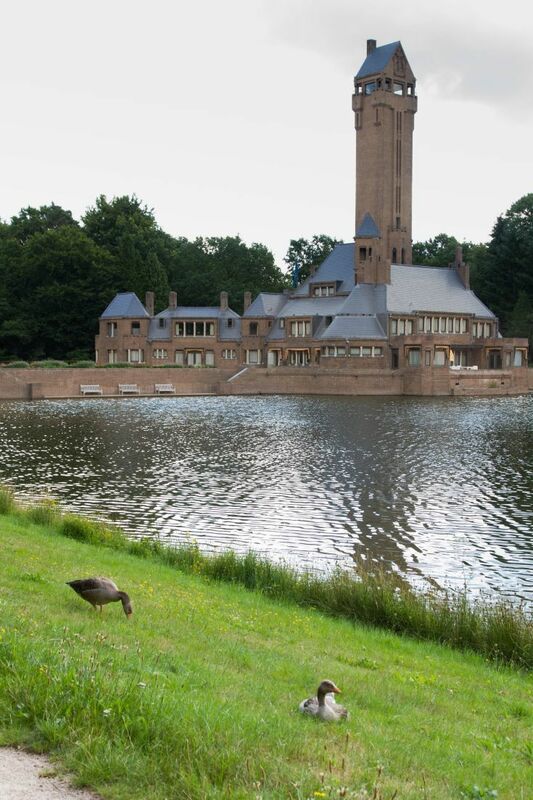 The Jachthuis Sint Hubertus (Hunting Lodge) is a beautiful piece of architecture in the middle of the park. Pedaling up to it, you can see it reflecting in the pond where the swans and ducks are nesting. It’s a great place to stop and order a cup of tea or if you have pre-arranged a tour, take a look on the inside. 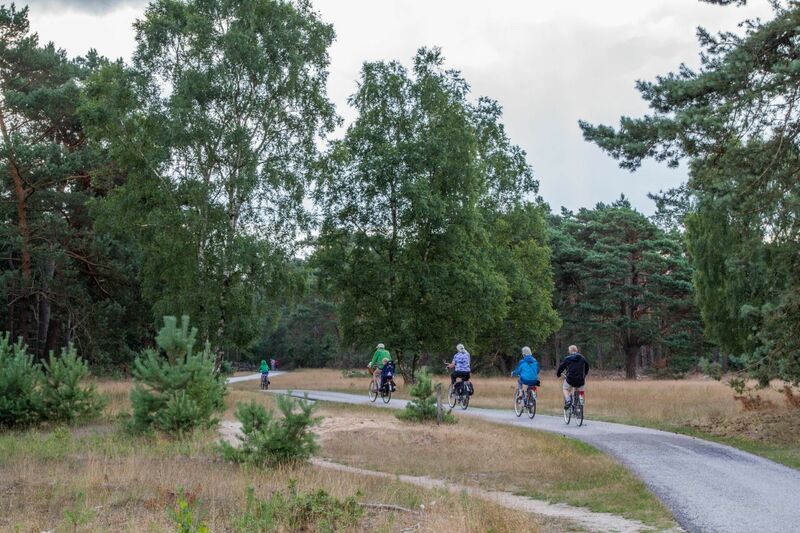 The Hoge Veluwe is a stunning natural site where you can easily spend one or more days. There are even some campsites within the grounds along with plenty of small villages surrounding the park offering all kinds of amenities. If you are heading to the Netherlands for some cheese, windmills, and a little Dutch culture, you will want to make sure that the Hoge Veluwe is on your itinerary. 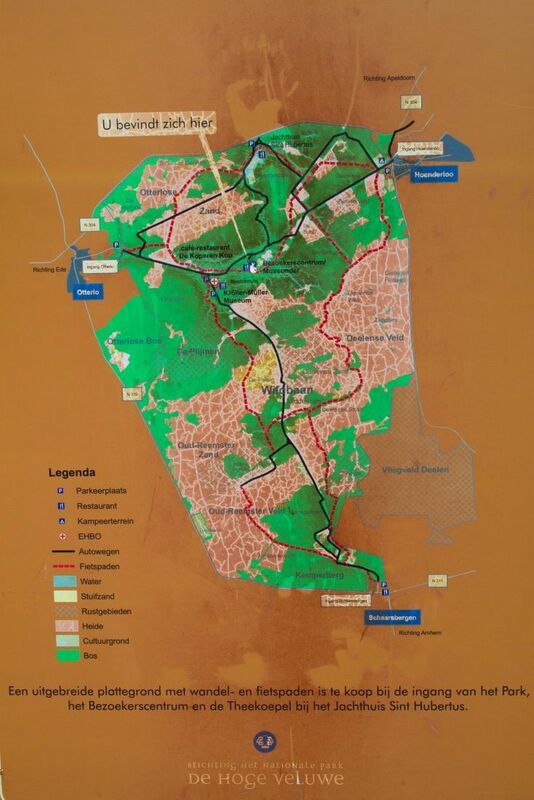 The different attractions in the Hoge Veluwe have different operating hours depending on the time of year. It’s critical to check before you go, and while you’re on the website checking the hours, why not go ahead and buy your tickets at the same time? Park Entrances are through Otterlo or Hoenderloo and can be easily driven to by car. 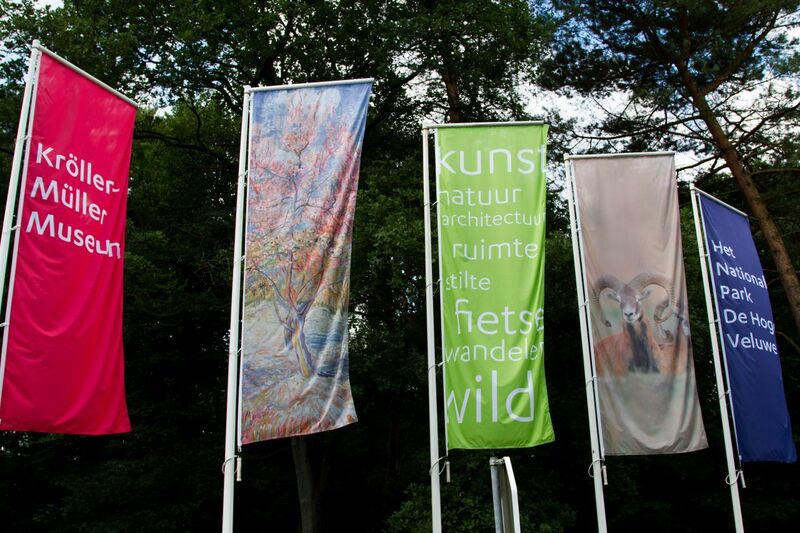 Public transportation is available as well by taking the 108 bus from Appeldoorn train station to Hoenderloo and then changing to the 106 bus towards Otterlo and directly into the park. 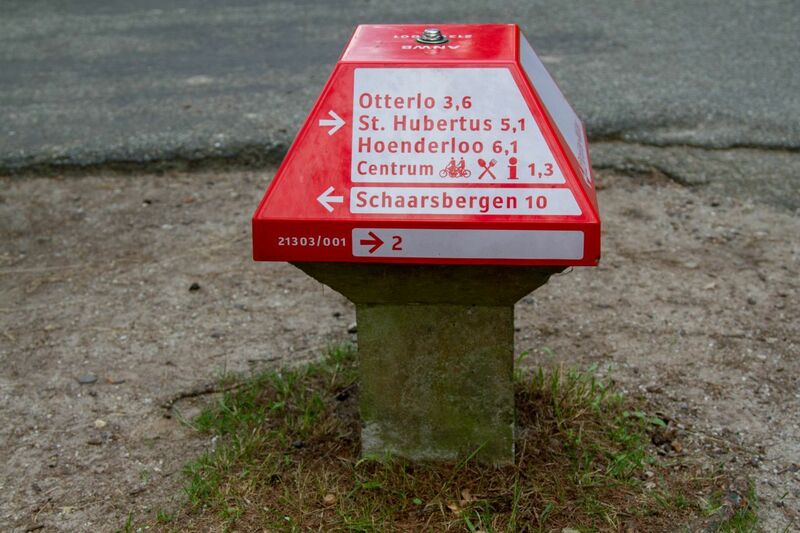 There are places to stay near the 106 bus route in both Otterlo and Hoenderloo. We stayed a little further away in Ede in the Hotel de Paasberg. We were in a clean and comfortable family room for a decent rate. Most importantly, take the time to have fun! It’s Tulip Time in the Netherlands! Just sometimes, I wish I could ride a bike. We haven’t been to Hoge Veluwe, but I know Gordon would love it. Thanks Paula. It is more fun to ride in the park, but you can also drive to all of the sites. Cudos to you for riding the bike, Corinne! Don’t you find it tiring to visit places by bike? I used to ride my bike to work may years ago, but I then the car felt more convenient. Recently, on a FAN trip to Paso Robles, I had to ride a bike again and had a pretty bad fall. I don’t think I’ll try hoping on a bike any time soon now. Anda, I love riding bikes so this park was perfect for me. I love that you just pick up a bike at the entry and use it all day. So fun. Lisa, Well, we didn’t talk with many locals. Everyone is there riding through the park and playing with their families. It was really lovely! 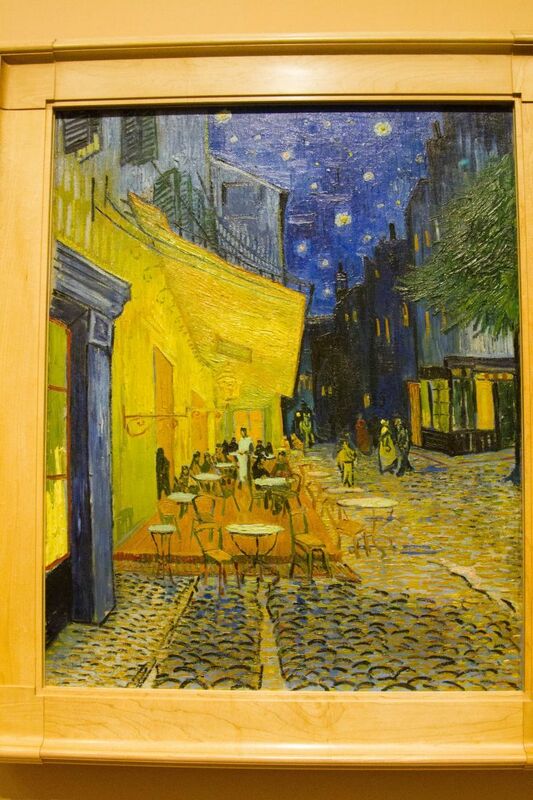 I love that Cafe Terrace by Van Gogh. Thanks…I believe that’s the print I will have hanging on the living room wall of our new home!!! Carol, I love that painting as well, and really I love a lot of Van Gogh! Megan, It was fun…I hope you do! How nice! I would like to visit this place. I think the combination of nature, exercise and art in a familiar environment is something we all need in our own countries. Ruth, I couldn’t agree more. It was fantastic! I love the picture frame! That would make such beautiful shots! Lauren, Isn’t it cool? I love that it tells you Van Gogh was right there! What a lovely day that would be with the family. I am not a big bicycle rider at home but we quite often use them when travelling and I always enjoy riding from sight to sight and having someone tell me about them. This place would be good because you could do your own thing. Jan, I do think you would enjoy it. It’s a nice relaxing day on bikes…and things to see, like great art, to boot! That is so cool! I never learned how to ride a bike. My best friend gave me a bike for my birthday two years ago, but I still haven’t learned. It sits in my house, serving as a clothes hanger! 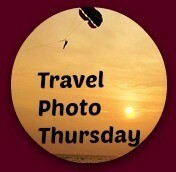 But this summer I’ll try to get on that, because I so want to do bike tours like this one on my future travels! Sarah, I don’t think I’ve ever met someone who never road a bike before. I hope you do; it’s one of life’s treasured gifts. looks like an epic biking day! so fun! Sher, It was! Relaxing, outdoorsy, and just plain fun! 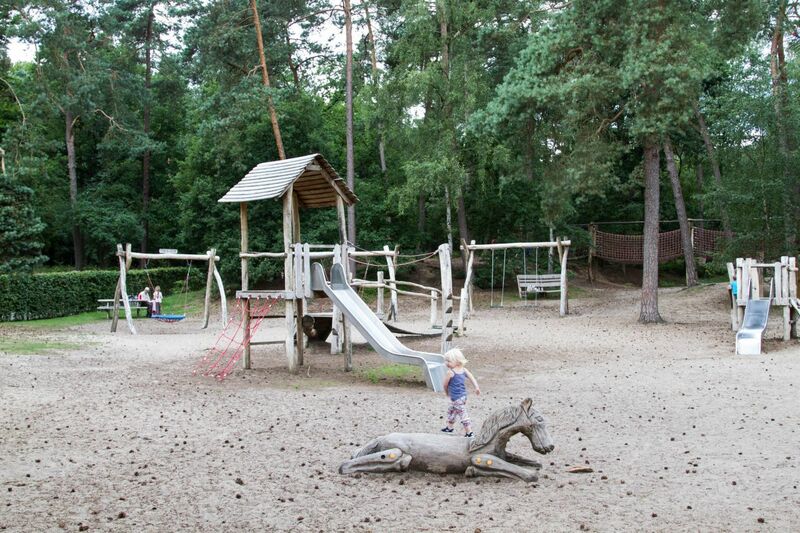 The Dutch just know how to do life right – this park looks so cool! Jill, You are so right! I think the Dutch have it all figured out. Melody, You know how you travel so hard and fast a lot of times, well this wasn’t that. It was a perfect day!